Delhi is a bustling metropolis where culture and history collide with modern Indian life at every corner. Being an ancient city with a bursting population means Delhi has seen many individuals live out their lives within its vicinity. 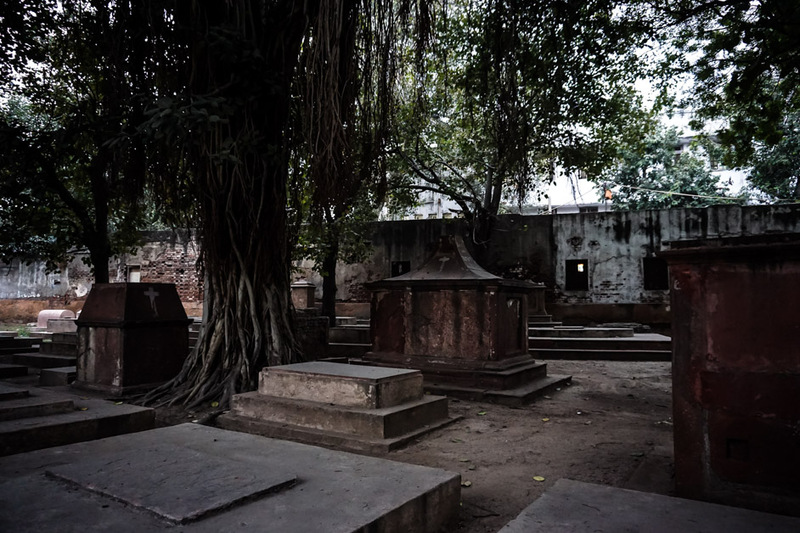 It may, therefore, come as no surprise to learn that there are many spirits thought to roam Delhi and it is considered to be one of the most haunted places in all of India. Below are some places that are rumored to be the most haunted places in Delhi, India. 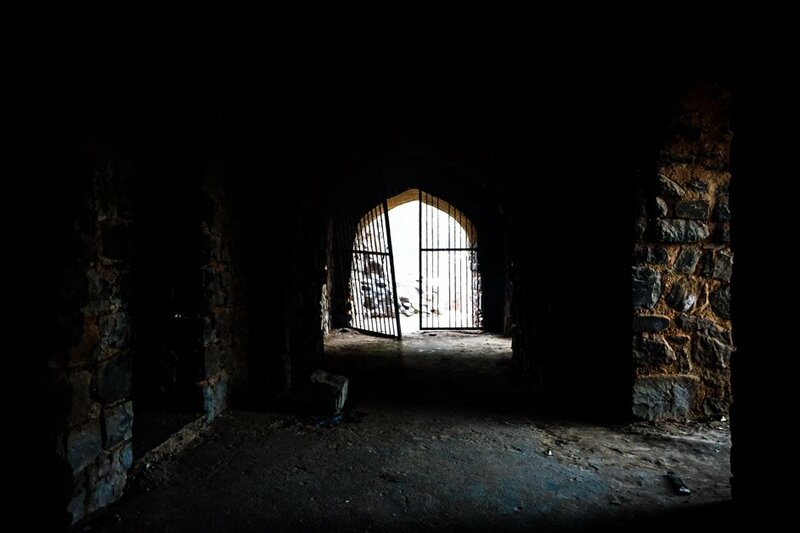 Our first haunted location in Delhi is known as the Khooni Darwaza. This is a spooky place indeed, especially considering its name literally translates to the Gate of Blood. 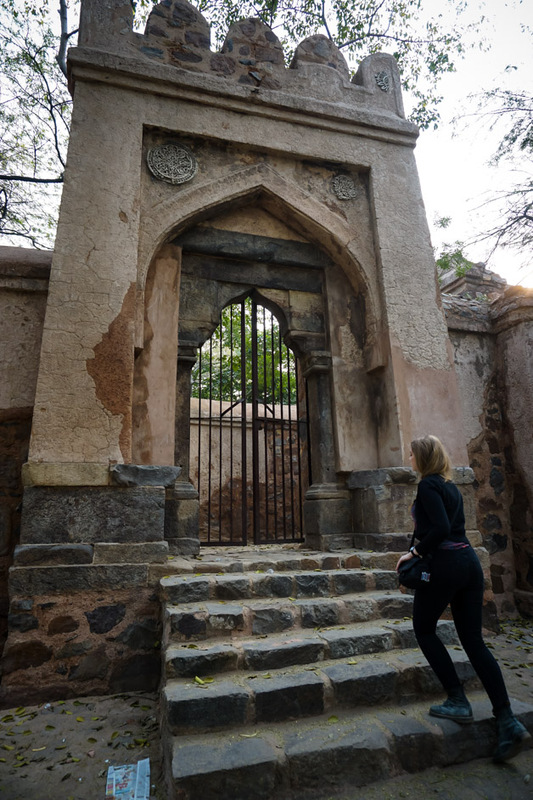 The gate is one of 13 other surviving gates left in Delhi. It dates back to the 1500s and saw its name change after some incredibly bloody events. The haunted Khooni Darwaza has a dark history. This gate is said to have seen many political executions. Some of the bodies were left to rot on display at the gate and some of the removed heads from beheadings were also displayed. 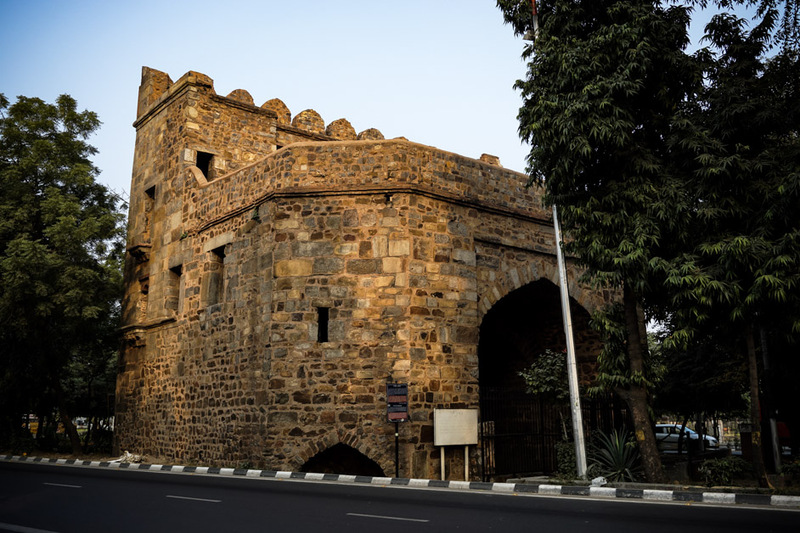 There were also three princes executed, by being shot at point-blank range, near the Khooni Darwaza and some say there was even a great massacre in the same area. Though this massacre’s occurrence has been debated, it is said to have resulted in the deaths of thousands. With such a dark and bloody history, it is no wonder why so much folklore surrounding the gate has developed. Some say that they have witnessed fresh blood stains developing on the gate’s walls. There are some other reports of ghosts who are unhappy with receiving foreign visitors. It is believed that some of the executions here were carried out by an English soldier and the ghosts of those executed are soured to the same sort of foreign visitor making their way into their space. Allegedly, Indian visitors to the gate are not hassled, though foreigners may sustain slaps, pushes, and scratches by unseen forces. 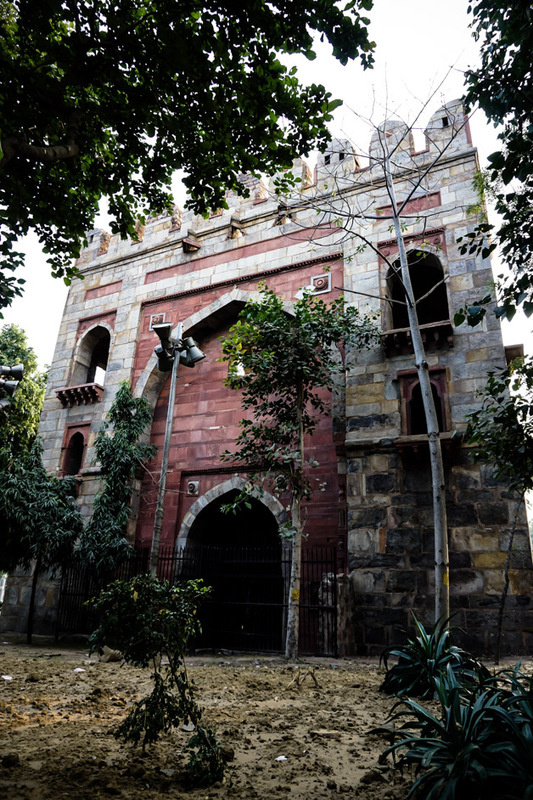 Many alleged ghost sightings have been reported at Khooni Darwaza, one of Delhi’s most haunted places. You can visit the Khooni Darwaza at Bahadur Shah Zafar Marg, Balmiki Basti, Vikram Nagar, New Delhi, Delhi 110002, India. The monument is quite small and closed to public access, though it can be viewed from its exterior. 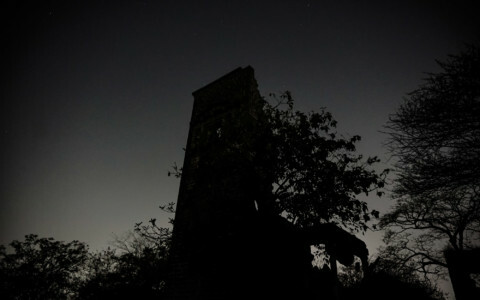 The Bhuli Bhatiyari Ka Mahal is a ruin of a once grand hunting lodge, well known as a haunted place throughout Delhi. This crumbling building dates back to the 14th century when it was constructed as a hunting lodge for royalty, once being encased with a thick forest inhabited by an array of wildlife. Walking up the steps of Bhuli Bhatiyari Ka Mahal. Similarly to many haunted places in India, signs are posted at the front of the Bhuli Bhatiyari with warnings to steer clear from the structure at night. Some say this is due to the spirits inhabiting it. A number of ghosts are thought to roam the former hunting lodge including a mistreated queen, former kings, a female who used to work as a caretaker and even the spirit of a local tribeswoman. Inside the supposedly haunted Bhuli Bhatiyari Ka Mahal in Delhi. You can locate the Bhuli Bhatiyari Ka Mahal at Central Ridge Reserve Forest, New Delhi, Delhi 110001, India. I visited recently and the building was closed for restoration, though the guards let me take a look inside for a small amount of time. The ruin rests next to a public park, which is worth checking out for a nice walk. The Lothian Cemetery is the oldest Christian burial ground situated within Delhi. It dates back to 1808 and accepted interments until 1867, though the land was rumored to have been used as an Indian burial site much longer before these dates. With such a long history it makes logical sense that the cemetery has acquired a ghost story of two. 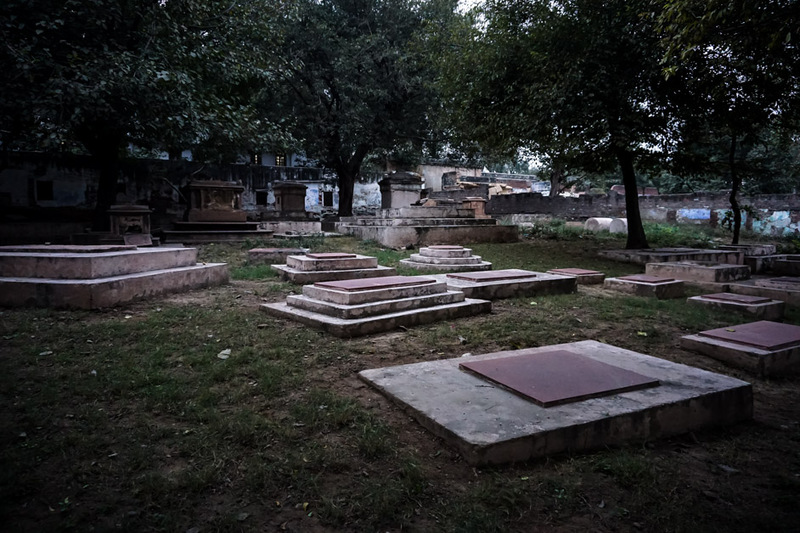 Delhi’s most haunted cemetery, the Lothian Cemetery. Many people believe that the Lothian Cemetery is haunted by a British soldier, who goes by the name of Sir Nicholas. He supposedly appears as a headless apparition in search of his lost lover. Additionally, many more ghosts are thought to roam the cemetery, namely those who were disturbed to make room for the new Christian burials, which were mostly British soldiers. There are many ghost sightings at the haunted Lothian Cemetery. 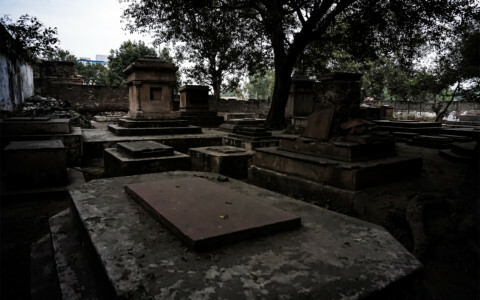 You will find the haunted Lothian Cemetery at Netaji Subhash Marg, Priyadarshini Colony, Kashmere Gate, New Delhi, Delhi 110006, India. The cemetery remains in fairly bad shape, though restoration efforts are being made. 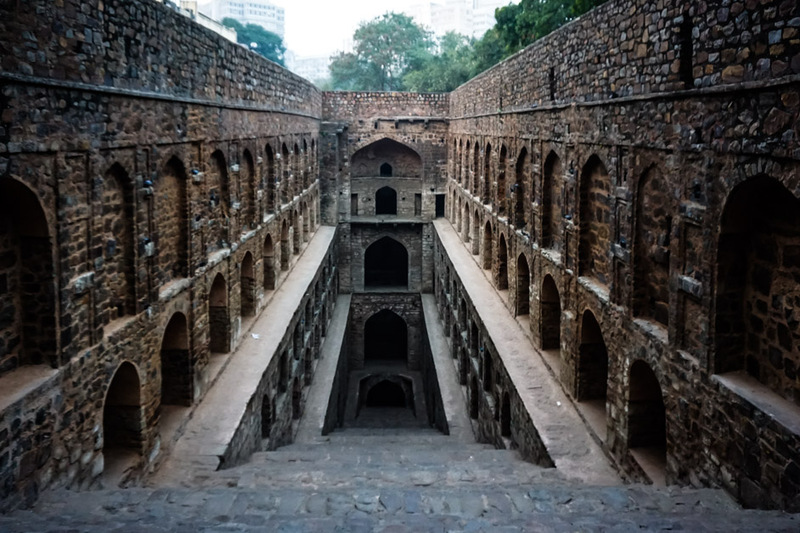 Another of Delhi’s most haunted places is the Agrasen Ki Baoli, an ancient step well. This is a beautiful though mysterious location. Its date of construction even remains unknown, though it is believed to at least date back to the 14th century. The eerie steps of Agrasen Ki Baoli, one of the most haunted places in Delhi. Though the water temple was once a place that sustained life for many in Delhi, it has now dried up, though the legends surrounding it remain plentiful. It is said that at one point in its life the Agrasen Ki Baoli became a place that drew many to it to end their own lives. Supposedly the well once contained what is referred to as Black Water. This had some form of mystical property that would depress people into jumping from the top of the well into it. Today, many people believe that those who committed suicide remain at the step well to haunt the area. This is alongside the negative and evil entities and devils that are also said to haunt the step well. Inside the bowels of the supposedly haunted Agrasen Ki Baoli. You can visit the Agrasen Ki Baoli at Hailey Road, Near Diwanchand Imaging Centre, K G Marg, New Delhi, Delhi 110001, India. It is open during daylight hours for visitors and does not require any entrance fee. 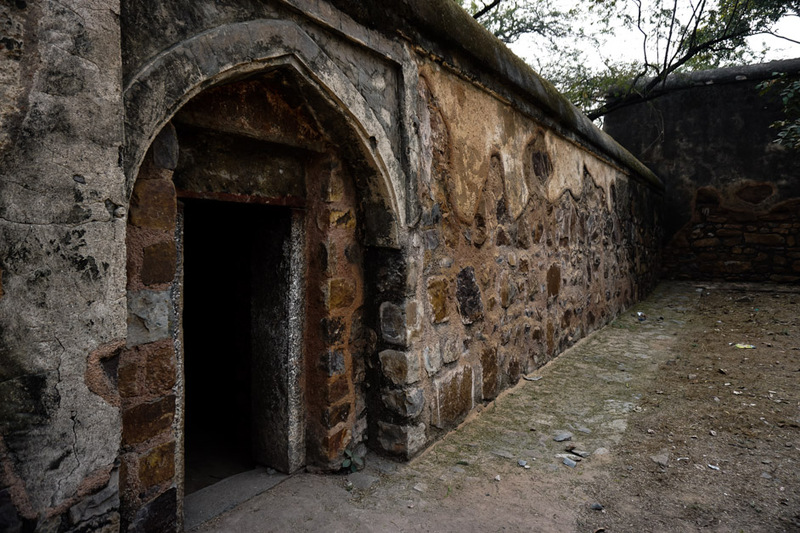 The number one most haunted place in Delhi is known as the Feroz Shah Kotla Fort. This impressive stronghold was built by a sultan back in the 1300s. It contains multiple structures, many of which are of religious significance and continue to be frequented to this day. 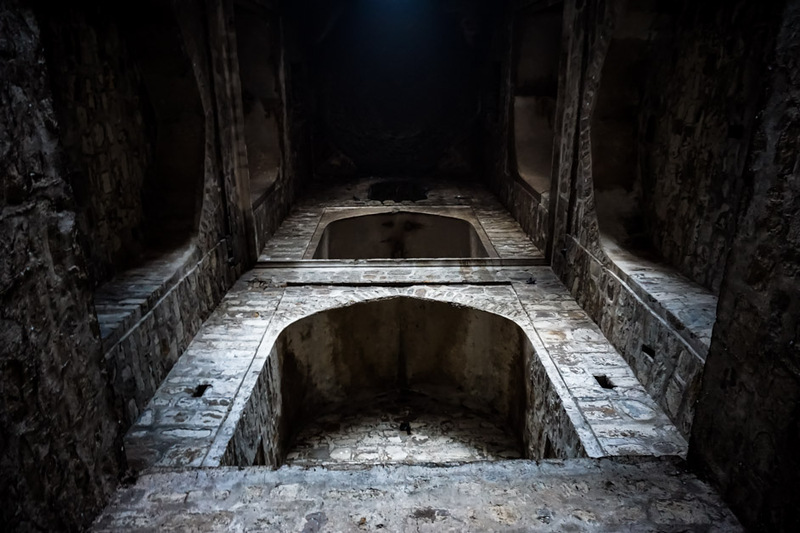 Inside one of the many haunted praying temples that form part of the Feroz Shah Kotla Fort. It is, however, not ghosts in the traditional sense that are thought to haunt this particular location. Here, Djinns are thought to roam. These are described as shapeless beings that travel between dimensions and can affect a human’s world or even possess them. Tradition and belief bring thousands of worshippers to the fort each Thursday night. 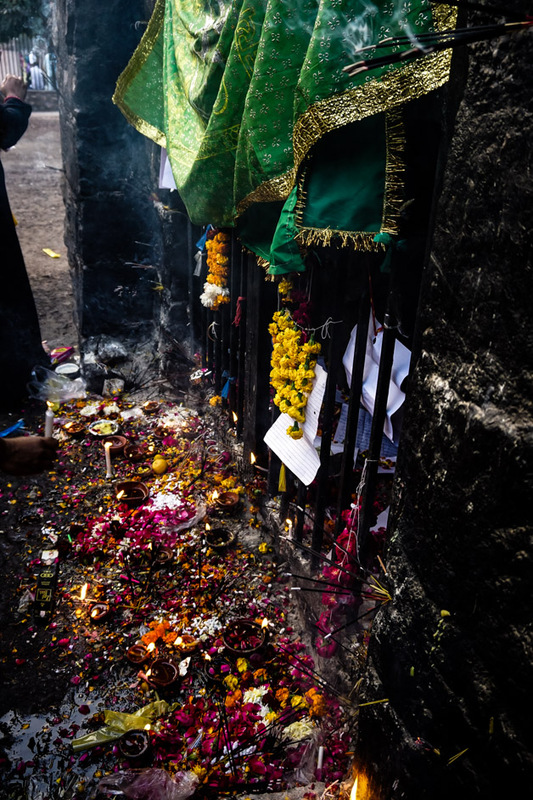 People flock here to pray to and make offerings to the Djinns. This is in the hope that they will, in return, assist with their current life problems. Just some of the many offerings and letters of prayers to the Jinns of the haunted Feroz Shah Kotla Fort. You can pay a visit to the Feroz Shah Kotla Fort at Balmiki Basti, Vikram Nagar, New Delhi, Delhi 110002, India. A small entrance fee is charged each day with the exception of Thursday when the temples are extremely busy with people coming to worship the Djinns. If you enjoyed this article and are interested in other haunted places in India, I recommend reading about my trip to Bhangarh Fort.